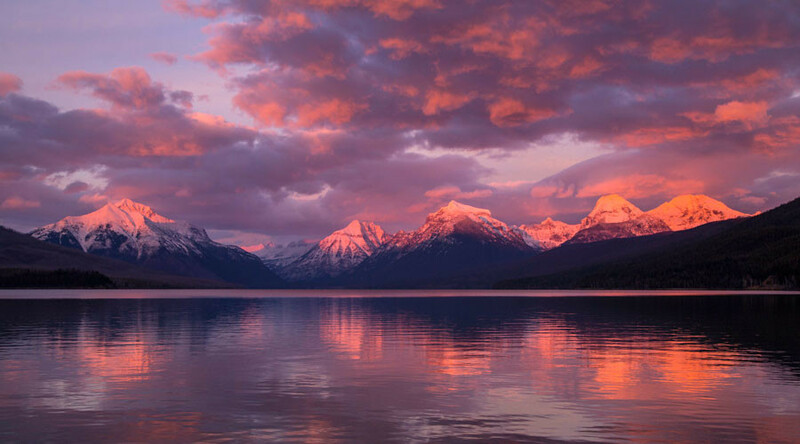 Global warming has sapped Glacier National Park of its once-abundant ice sheets, according to the US Geological Survey, which says just 26 active glaciers remain at the protected wilderness area in Montana. Dubbed the ‘Crown of the Continent,’ the popular North American tourist attraction was once home to an estimated 150 glaciers back in 1850. However, studies by the USGS concerning the park’s 37 named ice giants suggests an uncertain future for the Rocky Mountain site. For a glacier to be considered ‘active’ its area must measure more than 25 acres in size. However, only 26 glaciers at the park now meet this criteria. By comparing ice mass data from 1966 to 2016, USGS analysts Dr Daniel Fagre and Andrew G Fountain found that some glaciers had depleted by nearly 85 percent. A list on the USGS website reveals one of the greatest ice losses occurred at the Boulder Glacier – an area which has retreated from 231,000 sq meters to 35,298 sq meters as of 2015. The data also reveals the Harris Glacier decreased by 76 percent from 1966 to 2015. Meanwhile, more than 863,000 sq meters has disappeared from the Agassiz Glacier over the past 50 years. 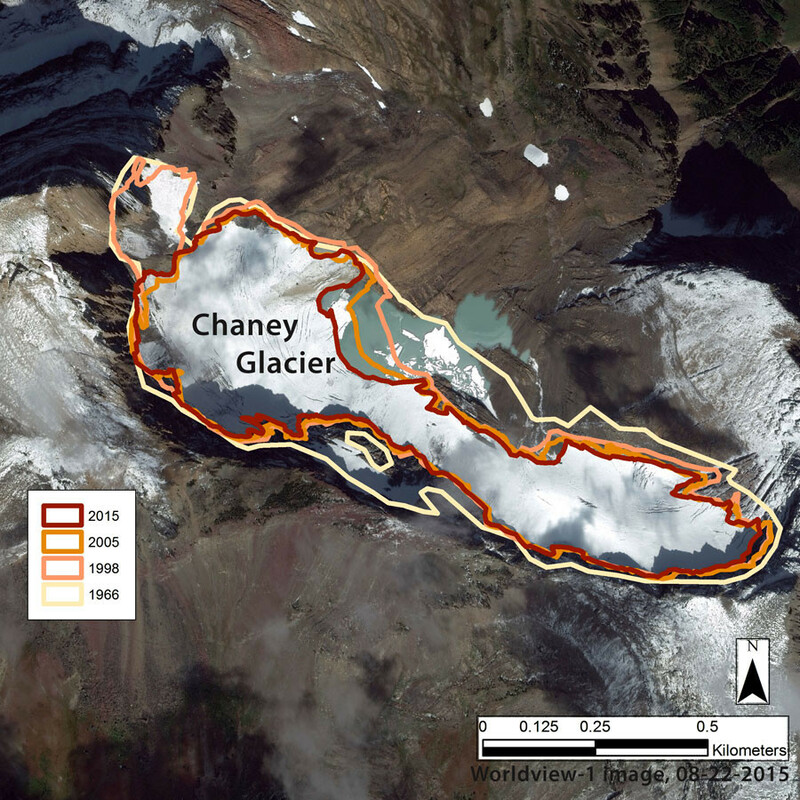 On average, the glaciers at the US national park have retreated by around 39 percent, with satellite imagery bringing the loss into sharp focus. 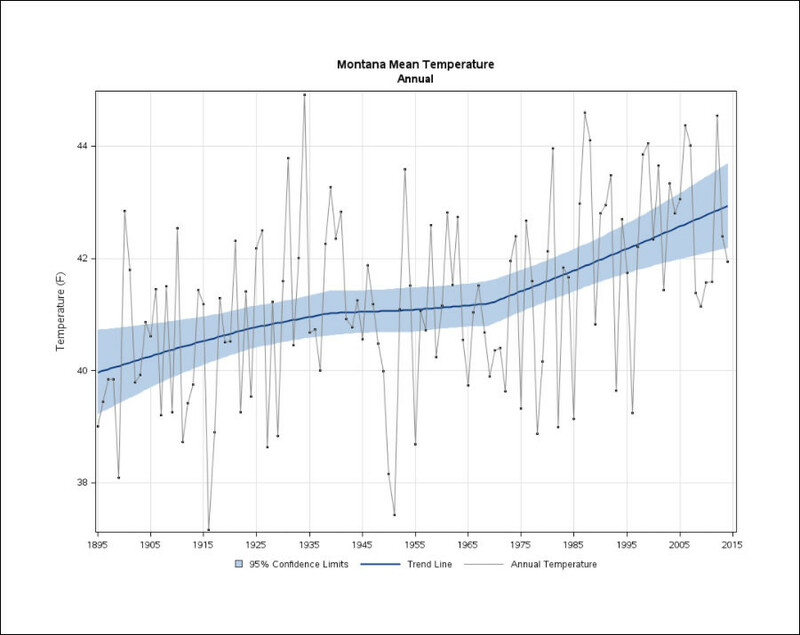 Montana has experienced a mean temperature rise since the 19th century, according to annual data from the National Climatic Data Center. A statement from the USGS blames the glacial decrease on the temperature hike. “The park-wide loss of ice can have ecological effects on aquatic species by changing stream water volume, water temperature and run-off timing in the higher elevations of the park,” said USGS scientist Dr Daniel Fagre. Portland State geologist Andrew G Fountain, was involved in the analysis, says the glacial retreat is similar to what has been observed in other parts of the world. “While the shrinkage in Montana is more severe than some other places in the US, it’s in line with trends that have been happening on a global scale,” Fountain said. NASA estimates that 400 billion tons of ice has been lost per year since 1994. 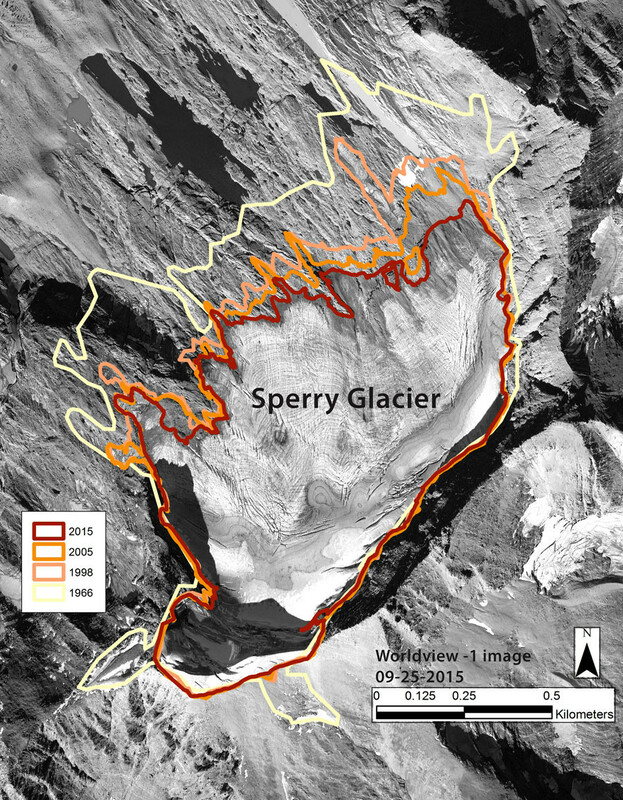 The space agency has posted evidence of changes within some of the world’s major ice packs such as the Qori Kalis Glacier and the Arapaho Glacier in the Rocky Mountains.